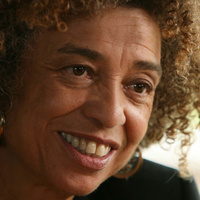 Scholar, American political activist, and author Angela Davis will present "The University's Role in Educating Students to be Engaged Citizens." The talk is part of the ongoing series "Difficult Conversations as a Catalyst for Change, presented by Donald Hall, the Univesity's Robert L. Mary Sproul Dean of the Faculty of Arts, Sciences & Engineering. A leader in social justice for more than a few decades, Davis has worked as an educator, both at the university level and in the larger public sphere – where she emphasizes the importance of building communities of struggle for economic, racial, and gender justice. The event is free and open to the public. The event is currently full and registration is closed.